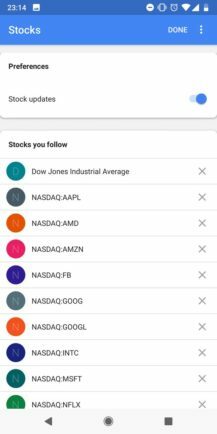 Cody discovered that stocks were going to start showing up in Assistant's settings a few weeks ago, and now some users are starting to see them go live. It's a server-side rollout though, so your mileage may vary. 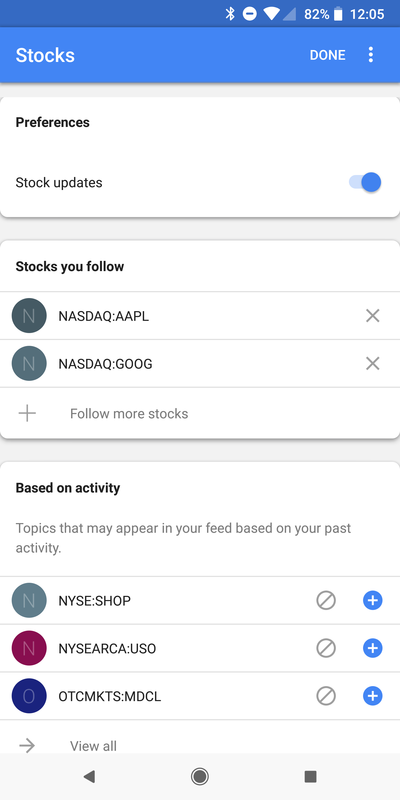 If you head over to your Assistant settings (Google Assistant > blue icon on the top right > overflow three-dot menu > Settings) and scroll down, you might find a new option called Stocks right below Calendar. 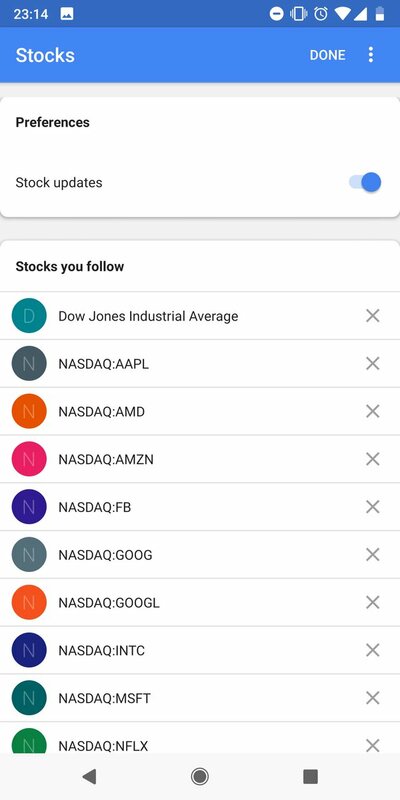 Tapping on it doesn't do much now beside taking you to your existing list of stocks in the Google app where you can see them divided by Stocks you follow, Based on activity, and Not interested. 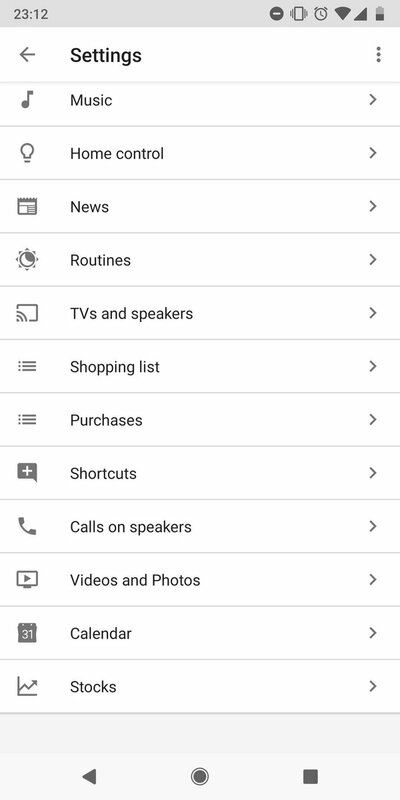 Left: Stocks in Assistant settings. Middle & Right: Stocks settings screen. Again, this second screen isn't new, and you can already get to it by tapping the overflow three-dot menu on the stocks card in your Google app/Feed (hint: it's in the Upcoming tab usually). But getting to it from Assistant's settings is indeed new. Right now, there's nothing different functionally and you still, sadly can't ask Assistant for "my stocks." 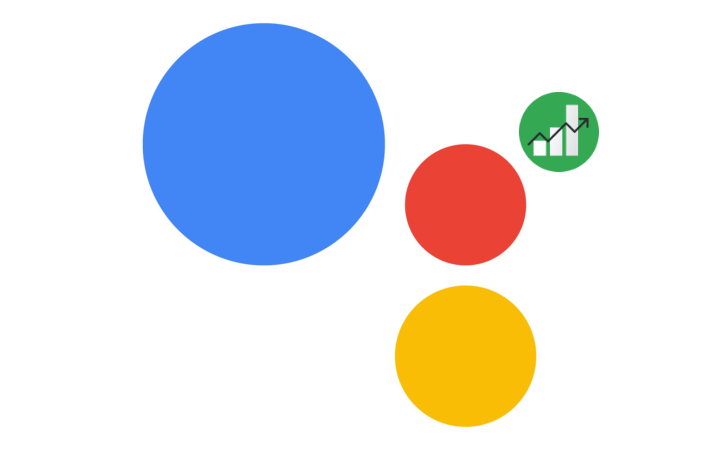 But presumably, when the function is properly rolled, Assistant will understand when you ask for "my stocks" and give you the update on your followed stocks, whether that's on your phone or Google Home - maybe even Wear OS or Auto or TV. If I'm speculating, I'd also say that your stocks would become part of Assistant's news and you may be able to get an update on them as part of your morning routine in the future.